Lately I've been on the hunt for a great liquid liner that I've ventured out from my comfort zone of brush tip liners to felt tip liners. I started out with the Maybelline Line Stiletto (which I already did a review on) and now I'm currently trying out this NYX Super Skinny Marker. Unlike the Maybelline Line Stiletto which has a flexible felt tip, the applicator for the NYX Super Skinny Marker can be compared to a fine tip marker. It is hard and not flexible at all. Because the Skinny Marker is hard and not flexible, it does tug a bit on the lids especially if you have a lot of eyeshadows on. Compared to the Line Stiletto, the Skinny Marker is more thin and pointed which makes it easier to make precise lines. It nice to make thin lines and wings. While I have the Line Stiletto in Blackest Black, I have the Skinny Marker in Carbon Black and both have the same black intensity. 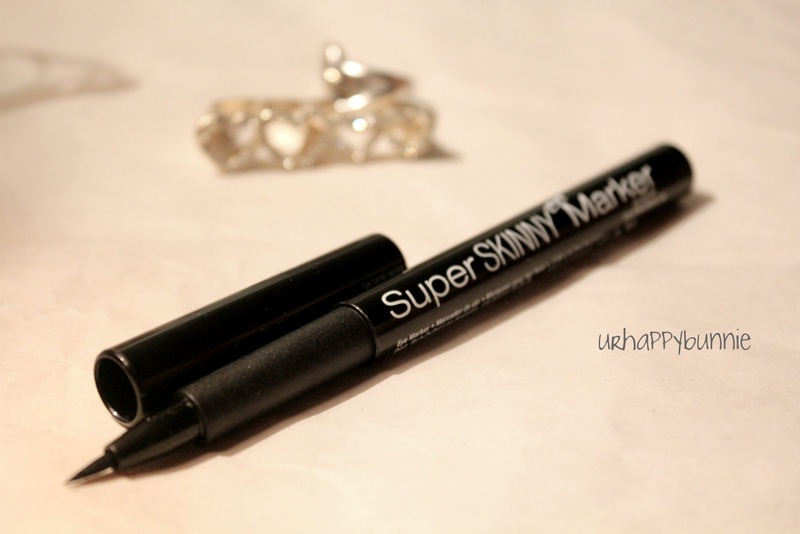 The Skinny Marker is not waterproof and it has the same a long staying power of 8-10 hours without fading. That is saying something because I usually don't like non-waterproof liquid liners and the Line Stiletto, though it is also non-waterproof, it faded faster than this. This liner however, is not smudge proof. I swatched both Line Stiletto and Skinny Marker on the back of my hand and let them both dry. I smudged both of them and whilst the majority of the Line Stiletto swatch was still on my hand after rubbing, the Skinny Marker was left with black smudged liner. Line Stiletto is not completely smudge-proof but it won over the Skinny Marker. Ever tried liquid eyeliners which at the middle of the day makes you feel a little bit uncomfortable? It feels like there something sticking on your lash line? I feel this mostly with gel liners and liquid liners with brush tip applicators. Sometimes, the liner even flakes off and it just looks ugly. Well, the Skinny Marker feels like you're not wearing any liner at all. After wearing it the whole day, the line still was intact without fading or flaking, no uncomfy feeling of having something sticking on your eye. When using the Line Stiletto, I have to touch up at least once through out the day particularly my wing since it fades, but with the Skinny Marker, I didn't have to touch up anything. For the price, Line Stiletto is cheaper by $2-3 depending on where you get it. The Skinny Marker retails at $9 at the NYX website but if you're lucky you can get it on sale at around the same price as the Line Stiletto on Cherry Culture. I must say that you get more product with Line Stiletto which has 1.5ml while the Skinny Marker is only 1.1ml. I think that with more frequent application of the Maybelline liner it would last about the same time as the NYX liner even with the difference in the amount of product. It looks good :) I love pen liners!!! Interessant post! thanks to share this information! Great revies I need to give them a try. I love pencils. I use liquid liners when I'm quick on the go but I love Urban Decay 24...I don't know, i just feel pencils give a better finish. Might try this out! I usually use felt tip liners when I'm in a rush and top it off a bit with a dark eyeshadow to make it look less harsh! 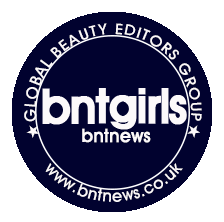 Definitely following you, your blog is delightful! I had it it's great.